Busy busy busy month, but now i can finally relax a bit. Haha. No topping that haul, guys. Congratulations! IronHideTFX Welcome to the married life. Wife and kids got me the Star Wars Lego Death Star for Xmas, pretty stoked with that one. And arrived home from a few days away for Xmas to find hot soldiers legends size bumble bee on the doorsteps, very impressed with home for the $, especially seeing as he came with the most adorable mini ravage to go with their sound wave figures. Added some TF touches, i wore a silver suit with red tie and Autobot cufflinks. We also did table names instead of numbers, my wife went with 4 Harry Potter houses for her side, i went with Autobot, Decepticons, Insecticons and Dinobots. Printed some custom place holders (Autobot had their insignia with the red/black grid pattern). Really fun day, went very fast like everyone said it would. I received these way December, but only now have found time to post. 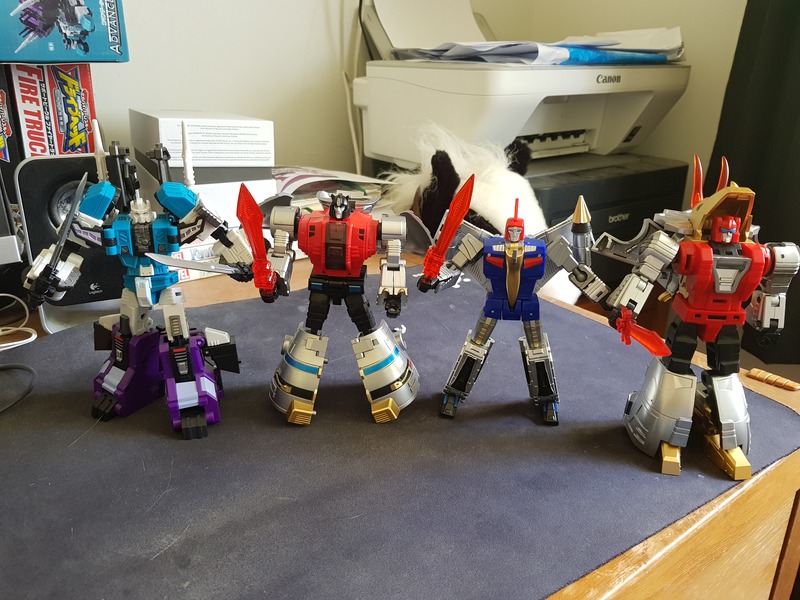 All bought during the fansproject thanksgiving sale. Captain Phasma Bobblehead from a mystery pack. Kylo Ren The Last Jedi Deluxe Lightsaber. Hot Wheels First Order Star Destroyer. Weber family q BBQ after our old warehouse job by shat itself. I'm super in on Mech Fans toys at this point. All 4 of these were about $130 including shipping. 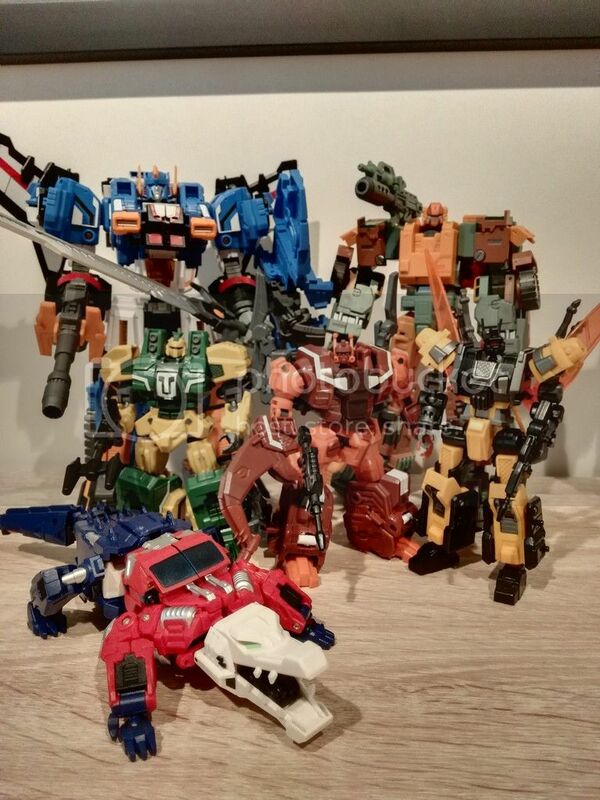 I've got everything of theirs so far other than the Gnaw and the normal sized Hulkie (Rumor has an upsized one is counting in soon) and Scrouge is on route now. 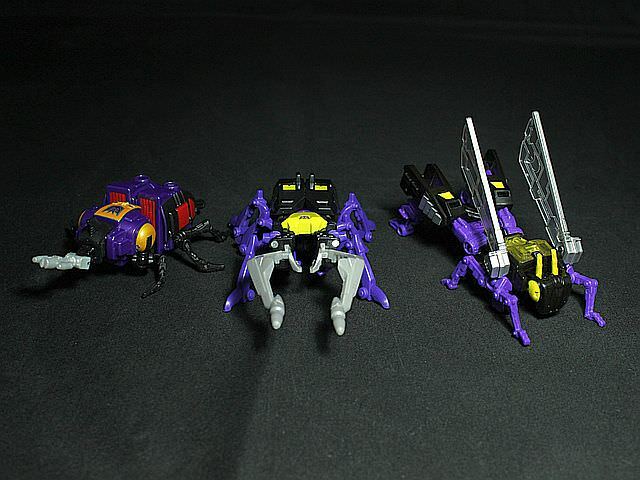 - A complete set of Legends scale Insecticons across 3 separate series. 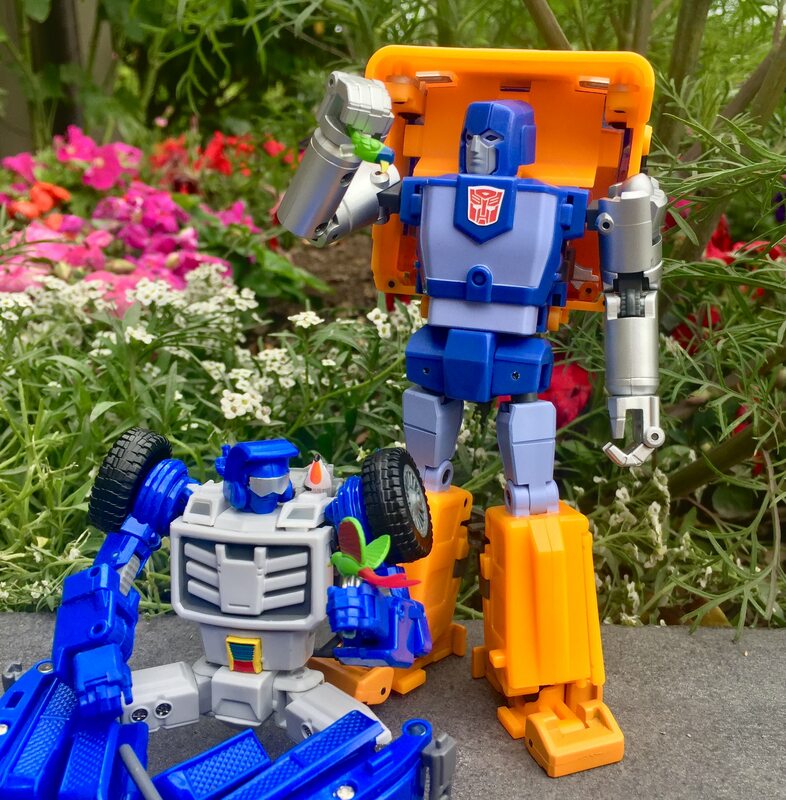 CW, TR (Takara Legends), POTP. Seriously HasTak, what's up with that? 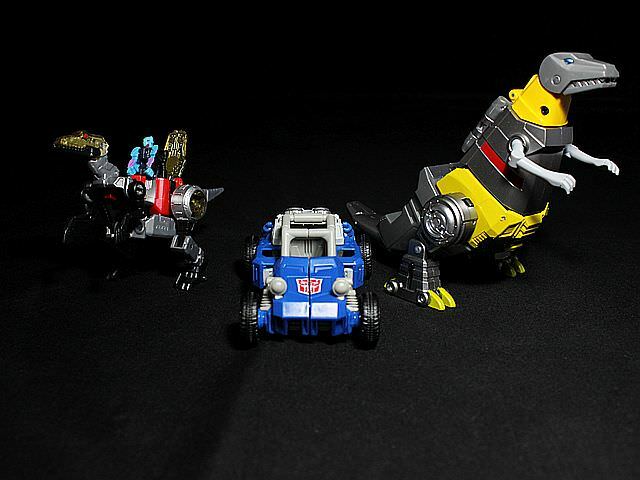 - DX9 War in the Pocket Rager - ala Legends scale Grimlock. The dinosaur mode is surprisingly cute looking at this scale, so I think I'll be keeping it in this mode most of the time. Robot mode's good too, of course. I missed my chance to collect the whole team, but at least managed to snag the most important Dinobot. 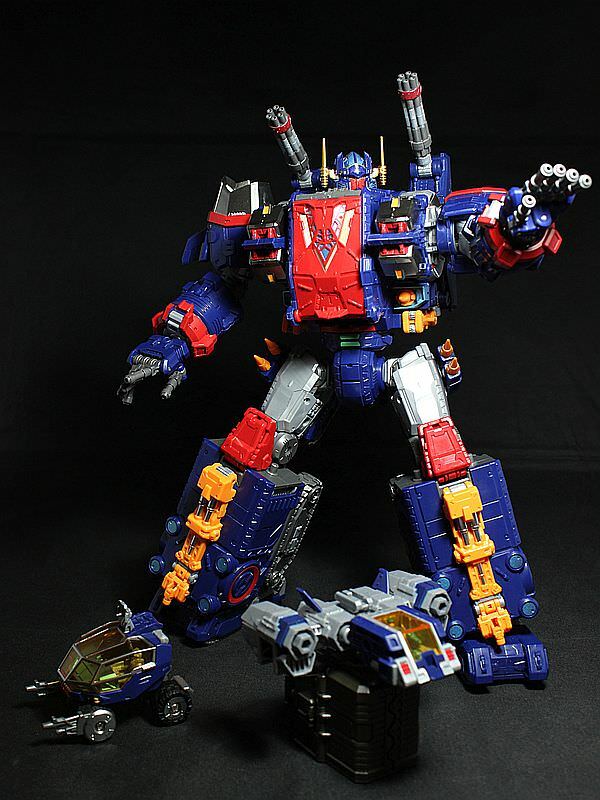 Takaratomy's modern take on the Diaclone Big Powered GV. 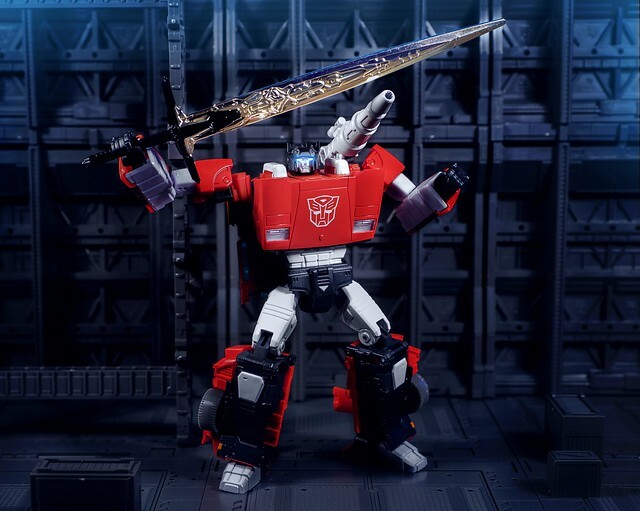 This toy is very highly detailed and incredibly versatile. It's one that makes you want to pick up and play and not just leave on the shelf as fancy eye candy. 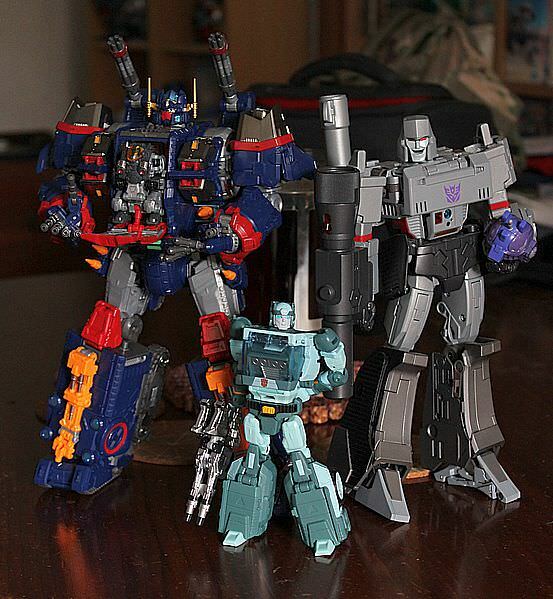 It's clearly a MP level toy and is as big as your typical TF MP. No die cast, but plenty of strong ratcheted joints. It's more like a Vehicle Force Voltron/Dairugger-15 style combiner, but I found it evoked everything I used to enjoy about the G1 toys. The set consists of a number of sub-vehicles that merge into the above giant robot and literally dozens of other configurations. Things like a giant attack vehicle, a fortress, air transports, tracked vehicles, repair bays, a walker robot, etc. If you have any of the other Diaclone Power Suit sets, you can fit the Power Suit containers onto the two trailer units. A Power Suit (Type E) is also included in this set. It's not shown here, but it is used to pilot the larger robot and sits in the chest. Three dianauts are included to supposedly pilot everything... clearly that's not enough. I've been curious about Big Powered! Would you be able to post a few size comparisons NKF? Mr_Ash wrote: I've been curious about Big Powered! Would you be able to post a few size comparisons NKF?